Your journey to beating cancer just got shorter. You don’t have to leave the North Olympic Peninsula to get exceptional cancer care. Located in Sequim, Olympic Medical Cancer Center delivers world-class cancer care close to home. Our affiliation with Seattle Cancer Care Alliance gives our patients full access to the world-renowned therapies developed at Fred Hutchinson Cancer Research Center, UW Medicine and Seattle Children’s. If you’re dealing with cancer, Olympic Medical Cancer Center can help. Visit omcforhope.com or call (360) 683-9895. 5 | Grand old dame still going strong Lake Crescent Lodge marks centennial Vol. 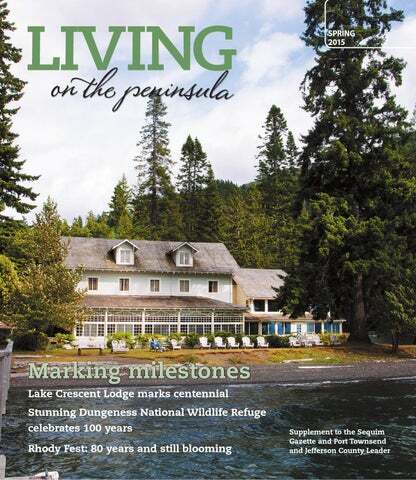 11, Number 1 • Living on the Peninsula is a quarterly publication. The lodge retains its grey shingle siding and many mullioned windows a century after it was built in 1915. • Free WiFi on board • Providing complimentary home-made chocolate chip cookies from “Cockadoodle Doughnuts” in Port Angeles. Olympic Bus Lines is an independent agent of Greyhound. You can now purchase your Greyhound tickets locally at your only nationwide reservation location on the Olympic Peninsula. Late night or early morning flight? Ask us about special hotel rates! income then was about $690 a year for men, half that for women. rainbow trout abundant in the lake, the resort drew gentlemen fishermen, including W.F. Coleman, the Northwest manager for Sunset Magazine. The Singers made sure their guests were entertained with tennis, horseshoes, croquet, golf, trap shooting and boating. Even music was on the agenda with a player piano in the grand living room. Left: The Singer Taven Cottages were and still are popular accommodations for couples and families. Right: The eight original bedrooms upstairs in the lodge have been restored, returning small porcelain sinks found in the attic to their rightful places. Cabin 34, a two-room cottage that no longer exists. The following year, Roosevelt signed a bill designating Olympic National Park, including Lake Crescent, as part of the national park system. Another guest, whose family began a 30-year annual sojourn in 1947, said even in the early post-war years, dining was still a formal affair at the lodge. Left: Pearl is crowned queen of Forks’ Relay for Life in 2014. Above: Pearl clam digging on her 100th birthday. Above: The Luckens in the 1970s — Pearl remembers Maynard bought her the necklace at Willie-Lou’s in Port Angeles. Below: The Luckens’ wedding photo. Integrity above all else Passion for the quality of people’s lives Quality that is obvious Innovation, not emulation A culture of trust and respect Reaching to learn, grow and embrace and change Teamwork, camaraderie and fun! We are happy to announce we have received from Medicare a 4 STAR rating for staffing, 4 STAR rating for Quality Measures, and an overall rating of 4 STARS!! LIVING ON THE PENINSULA! Can you hear the quiet? The subtle sounds of nature are special to all who value their time outdoors. Don’t let a hearing loss rob you of that experience. (360) 683-8544 Jakdej Nikomborirak, M.D. Diplomate, American Board of Sleep Medicine. The Best in Rest on the Olympic Peninsula since 1998. Home sleep studies are available. Self Referrals Welcome. Medicare Accepted. Hearing loss affects all aspects of your life, but only as long as you allow it. We’ll help you take the first step in staying closely connected to your family, friends and world by providing a comfortable, personalized experience. OLYMPIC HEARING CENTER 538 N. Fifth Ave. The view atop Mount Townsend is hard to beat. It’s a favorite hike for several members of the Klahhane Hiking Club, a group celebrating its 100th year this March. “qualifying” hikes and some paperwork — but from the start they’re making me feel at home. As we climb the switchbacks that take us up Mount Townsend, I mentally check off one of my always-wanted-to-do list. This is familiar ground, so to speak, for just about each member of our 15-plus hiking party. After all, they’ve been at this for 100 years. built by private “They get so donations in 1922, excited — this is where a club their passion,” museum featuring Wallace says. items found along She’s got about the hikes and 20 interviews antique hiking recorded and is gear was started. researching more, (The museum’s helping fill in 40 artifacts, club years worth of club members say, have history. since been sent Erzen, a to the Clallam Klahhane County Historical Club member Society.) since 1981, says A third was they’re working started in a on a slideshow home near Lake to present at Crescent the meetings and club used in 1924 getting ready for until it became a club memberstoo expensive to only centennial maintain. celebration in Its most recent March. one is a rustic Klahhane Hiking Club members have three ways up Mount Townsend: the traditional clubhouse at Lake Becoming a approach from the upper or lower trailhead; from the west via the Silver Lake’s Trail; and Dawn near the via Dirty Face Ridge from the northwest. member entrance to the While the group Olympic National is open to anyone Club member Miggles Wallace has Park built in the early 1930s, one current 18 and older, member ages range up to the become somewhat of a club historian as members speak of with endearment. 80s and 90s but most Klahhane hikers are current members are piecing together Over the years the number of club in their 50s and 60s, she says. what’s missing since the last club history members has grown and shrunk. Hikes are everything from easy twowas completed back in 1975. Wallace Current member Sue Erzen ballparks the milers to 16-mile steep climbs up into the notes that often after a hike she will post a membership at 140 members, with but only park’s foothills. A typical hike attracts six to number of pictures and soon get a call or about 30 as “active” members. 20 hikers. note from formerly active members raving The others receive the monthly newsletter The group also hosts monthly potlucks of that particular hike or a memory. but are living a bit vicariously, Erzen says. and business meetings with speakers and presentations. Sounds fun, right? This isn’t a simple drop-in kind of a group. Gaining membership in the Klahhanes is a multistep process. One, you’ve got some getacquainted hikes (after signing a liability form, of course). Then, you do six regular hikes with the club within six months, one of which you co-lead. Then, you fork over a one-time $13 initiation fee, then $12 in annual dues which gets you the newsletter ($9 if you want the online-only version). The cramps from doing 16 miles worth of switchbacks? Those are free. And it’s an organized club to the hilt, with an executive board, officer elections, committees, etc. Their online resources are copious, too, featuring not only a threemonth schedule of hikes but a “Guide for effective leaders,” hiking tips, photo gallery and more. For late winter/early spring hikes in the Olympics, consider gear providing extra traction. Want some extra stability on your hikes? Don’t forget poles. A late winter hike up Mount Townsend reveals sweeping views of the Cascade Mountains … and some tricky patches of snow and ice. Wallace has posted a number of photos from favorite hikes and it shows the breadth and scope of the Klahhanes’ hiking steps: Grand Ridge, the Cape Alava Trail, Hurricane Hill, Elwha Overlook, Obstruction Point Road, Blue Mountain, Duncan Flats, Lunch Lake, the Spruce Railroad Trail, Hawk Peak, Gladys Lake, Hole in the Wall, Steeple Rock and Sunrise Ridge are among the featured treks. While most Klahhanes were Port Angeles residents at the club’s inception, Wallace says the group is closer to a 5050 split between Sequim-area and Port Angeles-area residents. I figure most of the folks I’m chasing up Mount Townsend are lifelong peninsula residents, but I’m dead wrong. I meet folks from Montana and Hawaii to Florida and California, some newly arrived and others, like me, settling in after a decade or so. Club hikes are scheduled year-round on Wednesdays, Saturdays and Sundays. Wednesday and Saturday hikes are typically six to 10 miles long, starting with meeting at a carpool location in Port Angeles or Sequim at 9 a.m. (sometimes earlier) and returning to that location midafternoon. Sunday hikes are a few miles in length, usually starting at 1 p.m. and lasting a couple of hours. Each hike has a club leader, who’s responsible for maintaining a list of attending hikers, organizing the carpools, answering questions about the hike and — this is the big one — making sure all hikers are accounted for by the hike’s end. On our way up Mount Townsend, several hikers sport walkie-talkies, checking on the progress of the fleet-of-foot and whom I call the flower-gazers. By the time the first Klahhaneite hits the crusty snow at Camp Windy, the group’s caboose knows about it. Each hiker has his or her own responsibility, of course, with each expected to carry the “Ten+ Essentials” (such as a map and compass, matches, first aid supplies, food, water, etc.). Wallace says she carries her 10 essentials but after seeing so many folks hit trails in Olympic National Park and the national forest, she’s usually carrying some extra to help them out. Also popular — particularly on this late winter hike — are hiking poles and crampons — mini-crampons (spikes one attaches to the bottom of hiking boots) for traction. In the club history — a 100-plus page document available to members online — the Klahhanes detail dozens of hikes from the 1910s through the 1960s and 1970s, with titles like “How to start a hike on two feet and end on four.” The history also curiously features a number of lyrics to what one can only assume are hiking songs. True, my Mount Townsend companions say. Sometimes they’d take the words from something out of the “American Songbook” and tweak them to fit the hiking milieu (“In the Wild Olympic Mountains,” to the tune of “Big Rock Candy Mountain”), or they’d simply strike up some traditional tune to help the miles go by. The Braggs have been collecting vintage radios for years. This particular model is a Stromberg Carlson rescued from a garbage can. Over 3 Miles of Drive-Thru Open Adventure! Daily 9 a.m.
TRANE’S TRUCOMFORT™ Trane TruComfort™ Variable Speed heating and cooling systems maintain a consistent temperature with maximum efficiency by automatically making minor, continuous adjustments in output all aday long, all night long. IN face, these systems have been designed to meet the ENERGY STAR® Most Efficient criteria. Choose 18 or 20 SEER, whichever is better equipped for your home. Choose well. Choose experience. Choose personal attention. Choose Sequim Physical Therapy! When paired with Trace ComfortLink™ II, you can control home energy management from wherever you go vie your smart phone or mobile device. Your Skilled Specialists in the Art and Science of Movement. See your independent Trane dealer for complete program eligibility, dates, details and restrictions. Special financing offers valid on qualifying equipment only. All sales must be to homeowners in the United States. Void where prohibited. The Home Projects® Visa® credit card is issued by Wells Fargo Financial National Bank, an Equal Housing Lender. Special terms apply to qualifying purchases charged with approved credit at participating merchants. Regular monthly payments are required during the promotional (special terms) period. Interest will be charged to your account from the purchase date at the APR for Purchases if the purchase balance is not paid in full within the promotional period. For newly opened accounts, the regular APR is 27.99%. The APR will vary with the market based on the U.S. Prime Rate. The regular APR is given as of 01/01/2015. If you are charged interest in any billing cycle, the minimum interest charge will be $1.00. If you use the card for cash advances, the cash advance fee is 5.0% of the amount of the cash advance, but not less than $10.00. Offer expires 12/31/2015. When your doctor recommends physical therapy, you have a choice! Very quiet operation of the TruComfort™ System, with low sound levels that are industry leading. www.klahhanegymnastics.org 457-5187 Help your child achieve their full potential! Gymnastics is part of our human nature. Gymnastics clubs are fun, safe places to build a healthy foundation for life. Want your child to learn fitness, confidence and self esteem? Life needs it! Join a class. walk in and thought, ‘Who is that pretty girl, anyway?’ Beautiful red coat and red high heels.” He asked her, “Say, I hear that in the wintertime when things are slow on the ranch, you and your folks play dances and that you’re their vocalist.” Shirley smiles, “Oh, yeah,” Paul continues, “Then I said, ‘Would you sing a song or two with me?’ and then we did — we sang a song or two.” Shirley adds, “We’ve been making music together ever since.” “That’s the way it started,” says Paul. They married a year and a half later. “We were both reserved,” says Shirley. “Paul was skeptical, but he did like the red heels!” He adds, “Threeinch red heels!” In their nearly six decades together, they’ve had many adventures — from their early days of live broadcasting, to working with legendary figures in broadcasting and entertainment. Paul tells of a high point in his career: interviewing the renowned Lowell Thomas: “He started in the newspaper field. Because he was a good lecturer, he became a great newscaster. He rode with Lawrence of Arabia and was with him when he made his raid. Afterward, Thomas built a ‘lantern’ show and returned to England where he spoke to sellout crowds.” During their interview, Thomas complimented Paul’s voice and encouraged him to stay in the field of broadcasting. In California, the Braggs covered a speech by Ronald Reagan as he ran for governor. Paul recalls that after 5 or 10 minutes of listening, he told Shirley, “That man’s got something!” She observes, “He had charisma.” The Braggs were granted a short interview. “He was the nicest man I ever interviewed,” says Paul. “Sometimes I can’t believe the things we’ve done in 59 years of broadcasting! Paul’s entertainment idol was the late Red Foley, star of the Ozark Jubilee and the Grand Ole Opry. With over 30 Top 10 hits to his credit, Foley was a top star whom the Braggs remember as a true gentleman. When Paul emceed live shows for a TV station in Salt Lake, he and Shirley worked with well-known performers like Foley and others. Shirley kept the talent happy and ready to perform. She recalls the time that that another Grand Ole Opry star, Minnie Pearl, was not happy. The comedian was gripped by stage fright, because she’d have to walk down a long aisle to get to the stage. When she turned to leave, Shirley told her, “Paul is introducing you, you really need to go! “ Minnie Pearl confessed that she was afraid that she’d trip and fall. Shirley replied, “If you trip and fall, it’ll be the biggest laugh you ever got!” Minnie Pearl rose to the occasion — in the nick of time. Salt Lake offered little time for family, so the Braggs relocated to the Olympic Peninsula with their sons. Here they created local programs and promotions, such as “Dock Time,” in which Paul interviewed ferry passengers from the world over. Top: The Rhody Festival carnival is always a hit with the kids. It sets up on Memorial Field in downtown Port Townsend. It’s the only time during the year when a carnival comes to town. Photos courtesy of Port Townsend Leader. Bottom: The Cake Picnic, new the last couple of years, draws a big crowd to Port Townsend’s waterfront park. managed the court. What a great thing!” Current Queen Addi Richert agrees. “It was definitely an awesome experience,” she said. “I gained a lot of skills, not just in public speaking, but with learning how to present myself in a mature way. I absolutely loved every second of it.” Queen Addi deepened her understanding of her community, gained friendships both in her age group and outside of it, and her scholarship will help in pursuing her interest in medicine. She aspired to be a Rhody Queen since her experience as Junior Royalty, open to children in primary school, one of four levels of Rhody Fest Royalty. Queen’s Court is for middle schoolers. Senior Royalty is generally retirees active in the community. They reign from all parts of the county and all appear in the Grand Parade. The festival maintains a float that travels to a dozen other parades each year, promoting Jefferson County along with the Rhody Fest. The 2015 Coronation Ceremony is March 14 at the Chimacum High School Auditorium. True to its theme, “80 years and still blooming,” this year’s festival is blooming with multiple events. On March 28, the first annual Spaghetti Feed Fundraiser Dinner will be served at the Jefferson County Fairgrounds, and for the first time this year’s float will be presented locally, prior to its first parade appearance the first weekend in May at Wenatchee’s Apple Blossom. “As a child, I always wondered why we let the inaugural float appearance be so far away,” said Hensley. “This year that changes.” During April, the Hilltop Tavern provides Barstool Bingo. Story and photos by Sandra Haven Evergreen Coho SKP Park is home to 175 leaseholders who enjoy the Northwest beauty of this Chimacum co-op RV park. hen a newly formed chapter of the national Escapees RV Club began looking to buy a piece of private property to call home, little did they know that 25 years later, Evergreen Coho SKP Park in Chimacum would have had such a lasting impact and presence on the Olympic Peninsula. had plenty of fun, too!” Twenty-five years later that fun continues in the beautiful 400-seat clubhouse that is ready host the park’s silver anniversary year celebration! Volunteerism from near and far The 175 RV lots in the park are all leased to members, who buy in for the initial lease (called a leasehold) and share in the annual maintenance costs. The park’s governing documents ensure that members are informed and “on the same page” for keeping a safe and beautiful park for all members. They all also are expected to participate in one or several of the numerous committees necessary to run such an extensive community. Committees include lot management, landscaping, lawn, utilities, safety, long-range planning, budget, clubhouse and social, and various other committees. Running a park requires active participation of co-op members, but volunteering isn’t new to these leaseholders. For instance, while staying at the park, they not only volunteer within the park, but many serve within the community, such as volunteering at the local museums, Habitats for Humanity and charitable organizations. Several members are retired from law enforcement and they volunteer in the local police and sheriff’s departments. Plus every year there are in-park fundraisers dedicated to contributing to local groups, like the Chimacum Volunteer Fire Department, Jefferson County Food Bank and the Children’s Christmas Donation, among many others. Above: Landscape Committee members, (left to right) Marianne Ecker, Merrie Freed and Diana Carter, have fun while keeping the park neat and trim. Top Right: A 1989 view of Evergreen Coho SKP Park from Tamanamus Rock as Phase III of construction began. Photo by Ted Sprague Right: Today the 8,000-square-foot clubhouse is the focal point of the park’s social and business activities. There is another common thread that brings these people to Evergreen Coho SKP Park: A love of this peninsula’s beauty and temperate climate. Park the perfect place to retire and live when they aren’t traveling. During summer months, most of the 175 leaseholders arrive to attend the annual gettogethers. Additionally, most of the rental spaces are filled with Escapee visitors. This means several hundred visitors each year, who all shop and eat at the local businesses. Plus a core of about 60 leaseholders live at the park full-time, adding to the community support year round. Coho SKP Park’s history and accomplishments. Today their flowering, tree-lined, paved streets showcase the generous-sized leaseholder lots. They can be equally proud of the neatly kept big-rig friendly, short-term rental spaces for visiting Escapee members. A large clubhouse, with library, gameroom, crafts room, billiards room, office, exercise room, laundry, kitchen and restrooms, serves hundreds who come for the members’ annual and special meetings and activities. But how did it come about? Only through the generous sharing of talents and hard work of so many Escapees over the past 25 years. And it is that same spirit of sharing that has created a legacy of community service, which has made this co-op park an important part of the fabric of the Olympic Peninsula. Visitors must check in at the park office for permission to enter this members-only private property. Or they can call 360-385-6538 for information or to schedule a tour with one of their Hospitality Hosts. To learn more about Escapees RV Club, go to www.escapees.com or Evergreen Coho SKP Park, go to www.evergreencohoskprvpark.com. n Sandra Haven is a professional editor and writing coach based in Port Hadlock. Reach her at www.sandrahaven.com. CROWNING GLORY Classic Revival courthouse a point of Port Angeles pride Story and photos by Patricia Morrison Coate “This year marks the 100-year anniversary of this grand lady — the Clallam County Courthouse. I believe the early residents of the county would be very proud to know that the bell still rings every hour and half-hour — and that she still stands proudly, serving the people of Clallam County,” said Joel Winborn, director of Parks, Fair and Facilities, gesturing to the classic terrazzo floors, faux marble walls and art glass skylight original to the courthouse in 1915. “It’s certainly a landmark for this area and it’s really great, given the fact that for 100 years the county has done an outstanding job of maintaining the building.” The century-old structure is still a functioning workplace, with offices for the prosecutor, Parks, Fair and Facilities, Environmental Health, Washington State University Extension, the county weed board, District Court and code enforcement. It was added to the National Register of Historic Places in 1987. BE SAFE THIS SPRING • CALL BEFORE YOU DIG! Practice safety this Spring! If you have landscaping or other outdoor projects in mind, remember to Call Before You Dig to have underground power or other utilities located and marked for safety. It’s easy! Simply dial “811” a few days prior to digging and tell the operator about your plans and in a few days they’ll send a locator out! A Bathing Solution for Every Ability! Pride in preservation From 1918-1976, this beautiful 12-foot by 12-foot art glass panel above the lobby was boarded up due to leaks in the skylight. It was uncovered and cleaned in 1976 and in 1979 a new skylight was installed above it to restore its natural illumination. In the 1970s, the courthouse was showing its age in its sixth decade and funds were sought for restoration. In 1979, a grant was received from the State Office of Archeology and Historic Preservation to fund repairs to the parapet, the clock tower and skylight while the $10 million modern addition was being built behind it. NEW CASH-PAY FEES for UNINSURED or LOW-INCOME Simple - $60 • Intermediate $80 • Complex $100 WE WILL NEVER CHARGE MEMBERSHIP FEES AND WILL NEVER ASK YOU TO SIGN A CONTRACT TO BE SEEN. Nisqually National Wildlife Refuge in DuPont. In 2003, he transferred to our bit of heaven. and raptors and plenty of bald eagles. The two spits, Dungeness and Graveyard, provide shelter for shorebirds. In the mud on the tide flats are worms, clams and crustaceans, a smorgasbord for shorebirds when low tide exposes the tasty treats. The Dungeness harbor and bay area is protected from heavy surf and is full of fish. Eelgrass beds in the bay provide food for brant, a species of goose that are abundant in the refuge, and a nursery, so to speak, for marine life, such as the famous Dungeness crab. The refuge is 1.206 square miles, according to U.S. Fish and Wildlife statistics. As if that isn’t enough to maintain, Falzetti and his five employees are responsible for six nearby refuges, including Protection Island and the San Juan Island National Refuge. Protection Island is closed to the public, however. “We want to restore the habitat back to what is was before development impacted the wildlife on the island,” Falzetti maintains. In fact, he says, every island offshore between the North Olympic Peninsula and Aberdeen is protected. John Maxwell, left, volunteer historian, and Dave Falzetti, wildlife officer, at the Dungeness National Wildlife Refuge headquarters. CENTENNIAL EVENTS Jan. 17: Kick-off anniversary celebration Feb. 21: Winter bird walk on the Refuge March 14, 1-3 p.m.: Presentation about the New Dungeness Light Station at the Olympic Unitarian Universalist Fellowship in Agnew April 18, 9-11 a.m.: Spring bird walk on the refuge led by members of the Olympic Peninsula Audubon Society May 16, 1-3 p.m.: Presentation by the Coastal Watershed Institute at the Dungeness River Audubon Center June 20, 10 a.m.-3 p.m.: Kids Day at the refuge, many hands-on activities July 18, 11 a.m. and 2 p.m.: Geology walks on the refuge Aug. 15: Shorebird walk. Time will depend on the tides Sept. 25-26: Joint celebration of 100 years with the Dungeness River Bridge and Klahhane Hike Club as part of the annual Riverfest at the Dungeness River Audubon Center Nov. 21, 9-11 a.m.: Migrating waterfowl walk on the refuge For more information, visit www.dungeness100.com. M.A., CCC-A, a Certified Clinical Audiologist and a licensed hearing aid dispenser, opened The Hearing Advantage in 1990 to provide the finest quality hearing aids and services to the Olympic Peninsula. The Hearing Advantage specializes in the newest technology in Scott John Raszler, M.A., CCC-A hearing aids, including new digital instruments. The Hearing Advantage provides complete hearing evaluations, hearing aid sales, repairs, batteries and accessories. If anyone has a hearing problem, call The Hearing Advantage for the best in professional hearing healthcare. The Railroad Bridge turns 100 this year and is the centerpiece of Railroad Bridge Park, located at the west end of Sequim. About 120,000 walkers, runners, birders and bikers cross the bridge each year. • We are licensed by the state and accept insurance, private pay and DSHS. We serve all income levels. • Services range from housework to personal care including medication reminders, incontinent care, transportation, bathing, dressing, transfers and protective supervision. • We provide care from one hour to twenty-four hour live in. We offer respite as well as overnight care and bathing services. • We pride ourselves on employing the highest caliber of staff assuring our clients the best quality in-home care services. Above left: The Olympic Discovery Trail crosses Railroad Bridge and is a popular spot for visitors and local citizens alike. Jerry Campbell, pictured, says he spends time at the park nearly every day, contemplating the future of the bridge. Above right: The grand old bridge stands proud and tall as it celebrates its 100th birthday this year. Built in 1915, trains chugged over the bridge filled with logs and eventually, people. The last train crossed the bridge in March 1985. Below: Powell Jones, born and raised in Sequim, is the executive director of the Dungeness River Audubon Center, located at Railroad Bridge Park, and is in the process of planning centennial celebrations for the 100-year-old Railroad Bridge. Instead the tribe contributes to the maintenance of the park and bridge and has access to various funding sources to continue that support. The fact that the park isn’t a public place or state park by no means excludes visitors. That the tribe took the initiative to manage the area after the railroad ended its glory days ensures the park and bridge will be preserved in perpetuity for all to enjoy. Above left: A February wind and rain storm damaged the west end of the Railroad Bridge trestle, closing the bridge to foot traffic. Photo by Christopher Dorris Above right: A bottleneck of trees and logs from upstream on the Dungeness River possibly hit the supporting pilings on the Railroad Bridge, causing part of the trestle to buckle. Photo by Christopher Dorris The design was inexpensive and (IAC). The Washington “How many people work in a place where there is a Recreation could be prefabricated, cut to size in State Department of Wildlife (now different landscape each day? It’s like a Christmas State Department of Fish and a mill or an off-site shop and hauled to the site by the railroad. Then it Wildlife) agreed to hold the title and present for me.” could be assembled by a crew of to lease the property to a local public railroad construction workers. — Powell Jones, executive director, Dungeness River Audubon Center, entity. The Clallam County Parks Powell Jones, executive director location of Railroad Bridge Park and the historical Railroad Bridge and Recreation District I agreed to of the Dungeness River Audubon manage the property and trail.” Center, located at Railroad Bridge Most of the work on converting It was becoming a nuisance.” Park, likens the process to a giant the bridge to a people-friendly The bridge came close to being removed. Tinker Toy set. pathway took place in the early 1990s. Trail Fortunately, a number of individuals, groups “It is a unique design,” he says. “They could coalition volunteers re-decked the bridge and committees pulled together to not only assemble the parts in two weeks. The bridge and trestle and converted a half-mile of bare save the bridge, but turn it into recreational served for for 70 years as a railroad bridge.” track to a paved trail. In 1992, the museum space meant for all to use and enjoy. The Railroad Bridge Howe truss was one of group secured grant funding from the State Annette Hanson has served on several the last built in Washington and is one of the Department of Natural Resources to add 10 committees that helped save our bridge. In few remaining, Wiersema says. acres of land on the east side of the Dungeness “It might even be the last,” he exclaims. And, the meantime, she has taken a keen interest River, adjacent to the bridge. in the area’s history, joining volunteers with it is on the National Register of Historic Places. “In 1993, they worked to secure a legislative the Sequim Natural History Museum in the appropriation for $300,000 to construct an development of Railroad Bridge Park, making it interpretive center at the park to house the No more trains the permanent home of the museum. museum (formerly located at the old Sequim By the 1980s, the timber industry on the Hanson tells the somewhat complicated School District high school) and to provide a North Olympic Peninsula was in decline, thus story of saving the bridge. range of natural history and environmental the need for the train was greatly reduced. The “After the train tracks were pulled up, the education functions for the public,” Hanson Milwaukee Road sold the line to the Seattle Peninsula Trail Coalition tried without success writes. and North Coast Railroad in 1980. It then to secure the entire right of way for a trail. The Railroad Bridge Park was dedicated in abandoned the line in 1985. 1992 with the Railroad Bridge standing as its “A small independent company operated the railroad company began divesting itself of the right of way, piece by piece. PTC then secured glorious centerpiece. railway for a while,” Wiersema reflects. “The several partnerships to save the historic bridge By 1993, the recreation district’s goals had last train crossed the bridge in March 1985.” – a critical feature if the dream of a recreational changed and once again, the now very popular Our grand old gal was suddenly left high and trail was to come to life,” Hanson explained. park and bridge were vulnerable. dry with no purpose, other than to entertain “In 1990, the Trust for Public Land (TPL) In 1993, however, the Jamestown S’Klallam what became a teenage hangout. agreed to purchase the bridge and the Tribe agreed to take ownership of the park and Wiersema chuckles with the memory of half mile right of way to Runnion Road, bridge. The Dungeness River is the ancestral the activities that took place in what is now provided someone bought it from them. The home of the S’Klallam people and the park and Railroad Bridge Park. property was subsequently resold to the bridge are on tribal land. Today, the Dungeness “People, mostly teenagers, were going down State Interagency Committee for Outdoor River Audubon Center at Railroad Bridge to the river and trespassing on private property. Railroad Bridge celebrates its 100th anniversary this year. The first trains crossed the bridge in July 1915. The total length of the bridge, including truss and trestle, is more than 730 feet, making it the longest bridge on the Dungeness River. The bridge is a modified Howe-through truss, meaning the train went through the middle of the structure of the truss. Railroad Bridge is on the National Register of Historic Places. The logging business was the impetus for rail transportation on the peninsula. The last train traveled over Railroad Bridge in March 1985. Private citizens and organizations worked together to ensure the bridge would not be destroyed and could be a place of recreation for all. The Jamestown S’Klallam Tribe took ownership of Railroad Bridge Park in 1993. Railroad Bridge Park is at 2151 W. Hendrickson Road, Sequim. For more information, visit the Dungeness River Center at www.dungenessrivercenter.org, or call, 360-681-4076.
business DIRECTORY Products, services and ideas from across the Olympic Peninsula. To advertise in Clallam County, call 360-683-3311. In Jefferson County, call 360-385-2900. Silverwater co-owner Alison Powers shows off a variety of spices available at the Silverwater Cafe. The restaurant features a full dining room, a lounge and a unique dinner and a movie venue on its third floor. Silverwater Cafe fills the bill It started as a humble fish and chips shack on the waterfront, but today the Silverwater Café in Port Townsend is much more – it features a full-service restaurant, a comfy lounge and it operates the Starlight Room with Port Townsend’s Rose Theater. In the Starlight Room, diners relax with food and drinks on cozy couches and overstuffed chairs while viewing a movie on the big screen. This 21 and over venue offers a full bar and a small plates menu featuring truffle fries, sliders, paninis, wraps, salads, quesadillas and the famous Rose Theatre popcorn. Movies run twice daily. For the current offering, go to www.rosetheatre.com. Whether it’s a business lunch out, a meeting over drinks or date night with a movie, the Silverwater fills the bill. For more information, see silverwatercafe.com. Co-owner Alison Powers regularly shares recipes with customers. Here she shares a light comfort meal that is pretty guilt-free. Heat olive oil in a 12-inch heavy skillet over medium heat until it shimmers, then cook garlic, stirring until golden, about 3 minutes. Transfer garlic with a slotted spoon to paper towels to drain. Cook onion in oil remaining in skillet over medium heat, stirring occasionally, until softened, 3-5 minutes. Add currants and cook, stirring, until plumped, about 1 minute. Stir chard stems into onion mixture with water and 3/4 teaspoon each of salt and pepper. Cook, covered, until stems and leaves are tender, 5 minutes. Meanwhile, cook pasta in an 8-quart pot of well-salted, boiling water until al dente. Reserve one cup pasta-cooking water before draining spaghetti. Toss spaghetti with chard stems and leaves, olives and 1/2 cup cooking water in skillet, adding more cooking water if necessary. Season with salt and pepper. Serve sprinkled with feta cheese and garlic chips. THEN James & Hastings Building This block of downtown Port Townsend, anchored on the corner by the James & Hastings building, is preserved pretty much as it looked more than 100 years ago. The James & Hastings building was built in 1889 and was described then as an elaborate building with three stories and a basement that cost $35,000-$45,000 to build. It is built on land where the first log cabin in Port Townsend was built in 1851. Ultimately, speculators had grander things in mind for that corner lot. The building is named for Francis James and Lucinda Hastings, the widow of merchant Loren B. Hastings. Over the years, the building has served many purposes. A mercantile store occupied the bottom floor for many years. In the decades that followed its construction, it also housed restaurants, saloons and offices. In 1900, the building was occupied by the Vienna Hotel and Bar. Today, the James & Hastings building still anchors that block of Water Street in Port Townsend. Colorful and restored, it houses a variety of shops, offices and apartments. Historic photo courtesy of the Port Townsend Leader collection. Current photo by Fred Obee. Student Ben Feldman works on a boat designed in the 1950s by H.C. Hanson for the U.S. Forest Service as a scaler’s boat. Treating the whole person. No waiting lists. The tagline — “Community Owned” — must appear above the Quimper Mercantile Co. logo.The tagline can also be displayed separately from the logo and when using the logo and Port Townsend, WA. We are dedicated to excellent care for your loved one. PRIMARY VERSION The logo and tagline lock-up should not be altered in any way and should always be reproduced from an approved electronic file. The tagline typeface is Oldstlye. Our commitment to loving, thoughtful care and our reputation of excellence is implemented daily in our specialized memory care community. Our small, 32-resident community provides our residents with a home-like setting and the freedom of movement and choice, receiving individual attention in a warm and caring atmosphere. VERSIONS Our success is measured by the smiles and appreciationALTERNATE of our residents and The versions shown below should their families. only be used when appropriate. Drop in for a tour and a meal, and we’ll answer all the questions you have. We know that choosing the right memory care community is an important and sometimes difficult decision and we’re here to help ALZHEIMER’S & DEMENTIA in any way we can. $300-600 off While supplies last! From left to right: Tara Allen, Robert Yourish, Rick McKenzie, Laura Simpson, Michael Ewing, Lorna Ross, Neil Usselman, Lila Shulz, Andy Ogden, Lynda Ogden, Dave Monroe and Dave Lemley. Sunshine Propane has been keeping Jefferson County warm for 35 years! New Shipment Just Arrived! Hurry in for best selection! A hidden paradise, right here on the peninsula! Remember to sign up for our Local Rewards Program! There’s a story behind every smile . . . We’d like to be a part of yours! Call us for your referral needs! Using the state-of-the-art VP Command computer system, we design your project to meet your exact specifications. The pre-engineered materials are delivered to your site, ready to be assembled using high-strength, bolted connections. You can customize the exterior with glass, masonry, metal, stone or numerous other cladding materials. We also do residential light wood frame construction, and our own drywall and interior finish work. 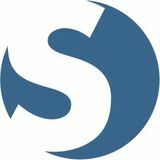 Experts in all phases of concrete construction, specializing in pervious concrete pavement, a unique and effective means to address important environmental issues and support green, sustainable growth. This technology offers efficient land use by eliminating the need for stormwater management devices. In doing so, pervious concrete has the ability to lower overall project costs on a first cost basis. good people Serving Jefferson, Clallam, and Kitsap counties. GRANT STEEL BUILDINGS & CONCRETE SYSTEMS, Inc.
Key City Fish Market Offering the best in Fresh Local Seafood, Natural Meats, and Free Range Poultry. Also serving top quality Tacos from our Taco to Go Window. Open Monday through Saturday from 10am to 6pm. Elegant, beautiful solutions to keep you safe in your own home. If your If your call (360)CASTLE 301-5066 or (360) 774-3088 HOME ForISconsultation YOUR YOURcomfort CASTLE warmHOME up to the IS worry-free of propane. warm up to the worry-free comfort of propane. If your We do not sell products. warm up to the worry-free comfort of propane. Clean, reliable comfort from people you know. Clean,our reliable comfort from people That’s promise. We’ll make sure you youknow. always That’s our promise. We’ll make sure you always have plenty of Cenex® propane. And you can have plenty of Cenex® propane. And you can count on us for prompt, professional service, too. count on us for prompt, professional service, too. Stop by or call today. Stop by or call today. Discover what the south end of Whidbey Island has to offer. Whether on the Island for a quiet getaway, extended vacation or visiting with friends, let us drive you to some of Whidbey’s finest wineries, vineyards and tasting rooms. Tour includes tasting fees, pick up and drop off from your Whidbey location. Come sit back, relax and enjoy some local wine with us. Built on the strength and stability of our experience, culture and innovation. This 36-foot long motor sailor was designed by Carl Chamberlin of Port Townsend and modified for an owner in southern California. Shown l. to r. are: Students Matthew Shreeve, Vernon Pearia, Charlie Duerr, instructor Ben Kahn in face mask, Hwan Pyung Kim, and Travis Dowds. Steve Brown, teaching this spring at the Port Townsend Woodworking School, is an expert on Northwest Coast Native totemic carving. CedarRoot Folk School’s mission could not be clearer: “Preserving and Restoring the Skills, Traditions and Arts of Rural Living. A School for the People, by the People.” I’m going to send you to their website, but first a list of classes coming up this spring: Natural dyeing, wildlife tracking, fruit tree grafting, blacksmithing and knife making, farmstead cheese and yogurt making, scythe making, cob building fundamentals, the art of making bitters, nature journaling, solar hot water, rush basketry hats, platter carving and an introduction to permaculture. These are classes with immediate, tangible results. cedarrootfolkschool.org Don’t you want to do it all? and memorials. These days remind us of the specialness of our lives and how blessed we are to share them with others. They call us to awaken to the wonder of life anew. But how would your life look if you allowed yourself to notice the small moments as well as the grand ones. Not just birthdays, but perhaps remembering the first time you saw the ocean. For in the remembrance, the moment is born anew. Can you find a way to return to a nearby coastline in celebration? Consider creating a personal “milestone day” each quarter on the solstices and equinoxes. Notice how far you’ve come, readjust your life trajectory in a desired direction, remember those who have walked your life path with you and send them a blessing. Traveling through the world in life can be like crossing a desert of wide unknowns. When one encounters an oasis, it is time to stop. For in the desert, one never goes past the sweet flow of water. It is time to sit around a fire in the night with all the others gathered there from their various lands. It is time to rest and remember. Time to think back from whence you’ve come and to use the stars to navigate toward the new lands you seek. It is a place to connect with Source and replenish. It is a perfect time to notice milestones and to celebrate them. We are in the life season of spring with the spring equinox, Ostara, Passover and Easter. There are expressions of new life emerging all around us. Perhaps this spring you can take time to reflect back on the path that brought you to this moment. Remember those special souls who inspired you, celebrate the courage you had to make a leap of faith that changed your life and honor those soul milestones anew. Then turn your attention toward the sunlight and live consciously and in celebration of it all. Rev. Pam Douglas-Smith is minister to the Unity Spiritual Enrichment Center in Port Townsend, a presenter at conferences in the U.S., Italy, France and Great Britain, and spiritual tour guide for international pilgrimages. She can be contacted at revpam@unitypt.org. Plus, try EZ Deposit. Deposit checks from your mobile device or Online Banking! *Qualifications and limitations apply. All accounts subject to credit and eligibility approval. Jefferson Healthcare is nationally recognized for our high standards of Jefferson Healthcare is nationally for our high standards of treating everyone equally and for recognized exceeding hospital quality and safety treating everyone equally and for exceeding hospital qualityevery and safety measures. Our promise is to deliver these quality standards time to measures. Our promise is to deliver these quality standards every time to every patient. Our network of neighborhood clinics offer services from every patient. Our network of neighborhood clinics offer services from Primary and Urgent Care to Outpatient Specialty Care and Surgery. So Primary and Urgent Care to Outpatient Specialty Care and Surgery. So getting that annual check-up or touching base about health concerns is getting that annual check-up or touching base about health concerns is easy and convenient. And because we have a state of the art electronic easy and convenient. And because we have a state of the art electronic medical records system, our accredited lab and radiology services can medical records system, our accredited lab and radiology services can provide quick, expert diagnosis from our dedicated team of specialists. provide quick, expert diagnosis from our dedicated team of specialists. Now accepting new patients. For more information or Now accepting new patients. For more information or to make an appointment, call today. to make an appointment, call today.